Police in Kiel, Germany, are trying to find a naked cyclist who was exceeding the posted speed limit. Looks like it’s bare-hunting season in Germany. Police in the northern city of Kiel are trying to track down a naked cyclist who was clocked by a speed camera going an impressive 29 mph — more than 10 mph over the posted speed limit — just before midnight on a Saturday night, Deutsche Welle reports. Two brothers in New Jersey uncovered five rare Mickey Mantle baseball cards. Even better, they didn’t find them clipped next to the spokes on their old bicycle. So what’s next, The Undertaker running for county coroner? 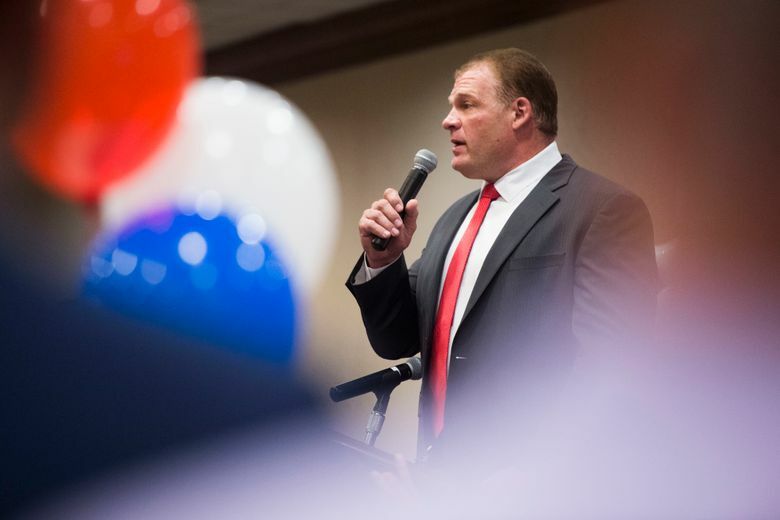 Glenn Jacobs — better known as rassler Kane of WWE fame — has been elected mayor of Knox County, Tenn.
Coincidence? He won by a margin of a best two-out-of-three votes. A man and two women are on the loose in Silver Spring, Md., after they stole an $80 wig from a store. Police profilers describe the suspects as huge fans of artificial turf. Sean Newcomb and Trea Turner have joined Josh Hader as MLB players who’ve had years-old offensive tweets suddenly revisited. Just guessing they’re no longer big fans of instant replay. MLS and Juventus played to a 1-1 tie in this year’s MLS All-Star Game — before Juventus won on penalty kicks. “Now why couldn’t I think of that?” moaned Bud Selig. On the other hand, you’d think a betting man like Pete would appreciate a good longshot. Death Valley, Calif., recorded the hottest month on record, with an average of 108 degrees in July. Though Urban Meyer’s seat at Ohio State is already threatening to break it. Latest sign that the Apocalypse might be looming: Orlando (Fla.) Sentinel columnist Mike Bianchi polled his radio-show listeners on whether Florida football coach Dan Mullen should allow his players to own assault rifles. ESPN’s Bill Barnwell offered up the six NFL teams most likely to improve their records this season. And like a free square in Bingo, we’ll offer up the first one: the 0-16 Browns. Harbaugh, we assume, did invite him over at Thanksgiving for a nice eagle dinner. Five-star basketball recruit D.J. Jeffries has decommitted from Kentucky.